“I can confirm that he is recovering from a gunshot wound he received during the attack in Kandahar,” Navy Cdr. Grant Neeley, a spokesman for the NATO Resolute Support mission, told CNN Sunday. Smiley, the commander of Train, Advise, Assist and Command — South, is based in Kandahar. He is being treated for the wound and is still in charge of the command. Previously, the NATO-led coalition had identified the two Americans wounded in the attack as a military service member and a civilian government employee. 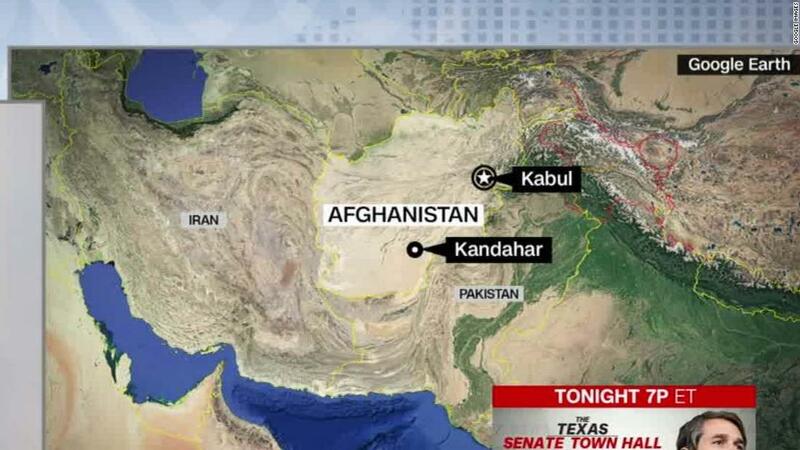 Two Afghan officials, including the police chief of Kandahar province, were killed in the Thursday incident. Gen. Scott Miller, the head of US and NATO forces in Afghanistan, drew his sidearm during the attack, according to a coalition member with direct knowledge of what happened. Miller did not fire. The Washington Post was first to report Smiley’s being wounded. CNN previously reported that the Taliban released a statement claiming responsibility, saying the group killed “the notorious police chief” who was their primary target in the attack. The shooter was killed by the US military, one official said Thursday. The violence came as people went to the polls this weekend to vote in Afghanistan’s parliamentary election.